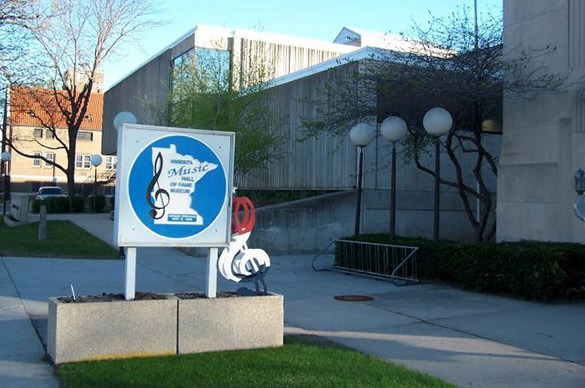 Bob Dylan, Whoopee John, Judy Garland and Prince are among the Minnesota music legends who hold a rightful place in the state’s Music Hall of Fame. Each year since 1989, the directors have selected five or six performers or people who have played an important role in musical history to be inducted. An Induction Ceremony is the first Friday if November, with a free Showcase of Bands the next day. The hall, located near the New Ulm Public Library, includes artifacts from the more than 100 Hall of Fame members, and soon will offer an audio tour. Hours: Apr-Nov: Thursday to Saturday, 10 AM-2 PM, Dec-Mar: Saturdays, 10 AM-2 PM. Also by appointment year-round.